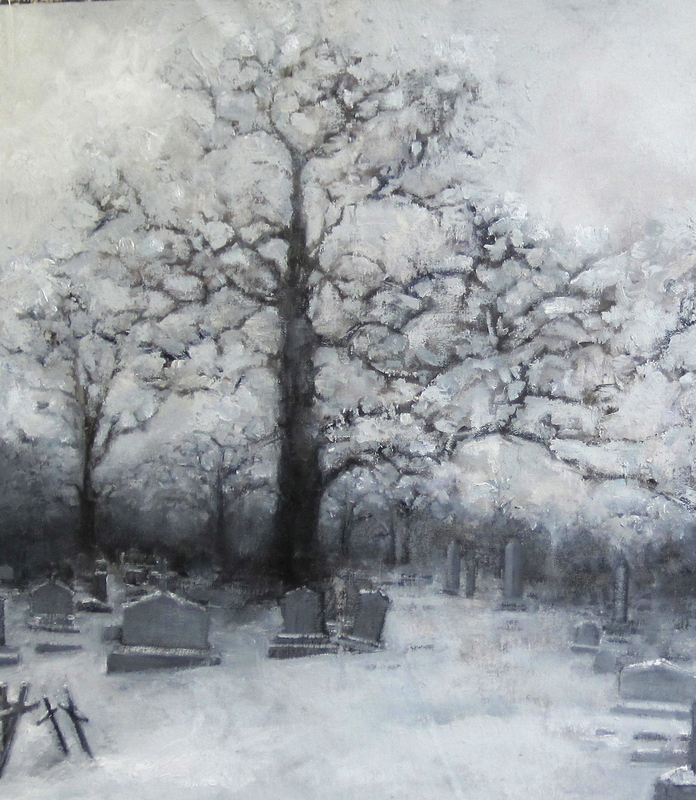 I'm mostly done with my third cemetery painting - the winter one. I had the most fun with this one so far because of the smaller dimensions which took the pressure off. I usually paint the sky first, building up from the background to the mid-ground and then finishing off in the foreground, following the phenomenal experience we have in landscape. However, this time I treated the painting in a more "flat" way- that is, I began with mapping out the tree (and other objects such as the gravestones) and then painted the sky around the branches, which was a lot of fun and the inverse of how I usually work when I'm painting landscapes.